There’s a full section on the Visit Fleetwood website about the biggest event of the year where you’ll find out all about the event itself, how to enter a vehicle or where to park your car. If you missed it, Tram Sunday 2018 was a great day out for all of the family. Vehicles, stalls, cars, food, music, amusements – and yes – trams, were all at the event in 2018. It was a fabulous day in the sunshine, probably the busiest it’s been yet. Fleetwood was absolutely packed out with people from one end to the other. Take a look at the 2018 photo gallery here. 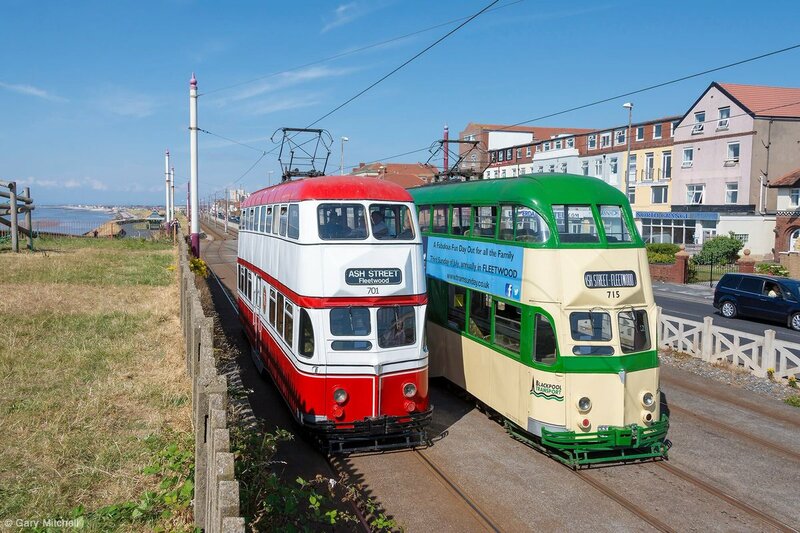 Fleetwood Festival of Transport – Tram Sunday – first took place in 1985 as a part of the celebrations for the anniversary of Blackpool trams. It continued to develop over the years to include any form of transport: classic cars, motorbikes, buses and of course, not forgetting the trams. 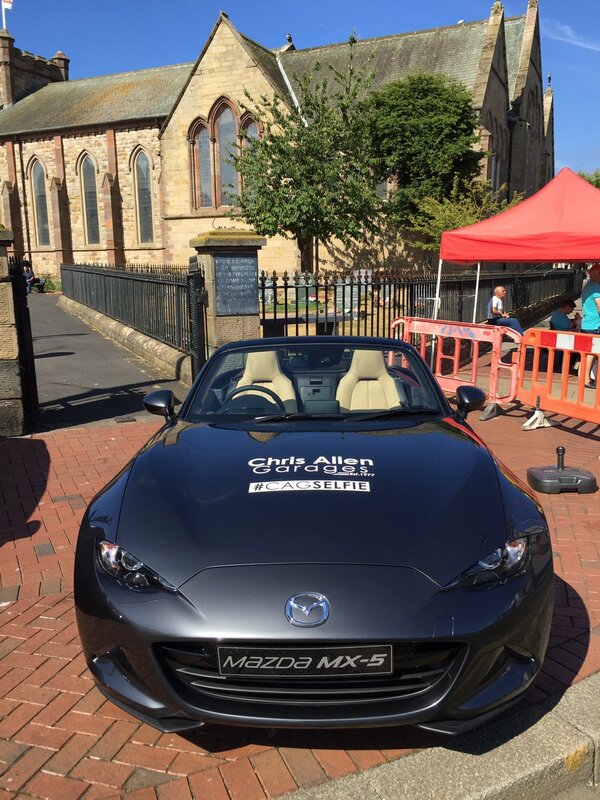 Its popularity has increased through the years with both transport enthusiasts and the local community in Fleetwood. Under the leadership of a new management team in recent years, the festival has grown with the inclusion of further attractions. 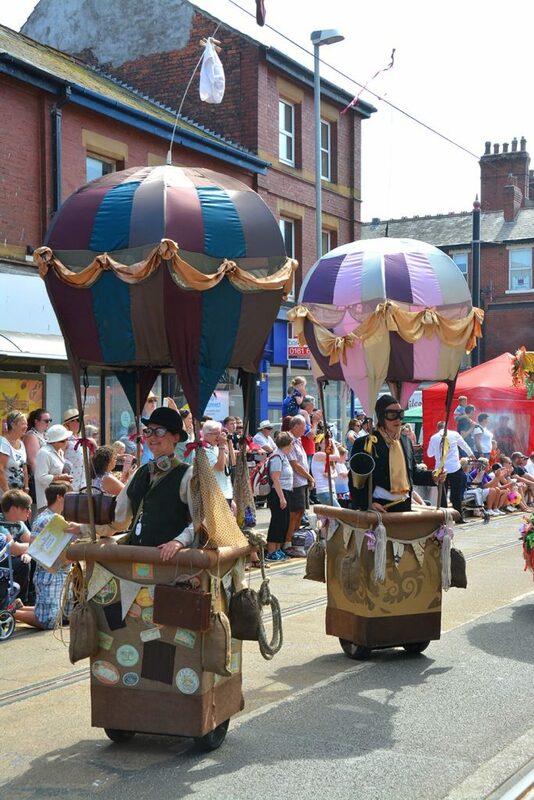 In 2014 the “SpareParts Festival” ran for the first time in conjunction with Fleetwood Festival of Transport – Tram Sunday. It brought exciting, transport themed professional arts performances, entertainment and displays to the event including professional street artists. Since then it’s been incredibly popular with everyone and only made the event bigger and better! A great write up of our 'sister' festival in Sandbach. Others in the SpareParts network are Oldham Classic Car Festival and Crewe's trAction Festival. Bring it on!